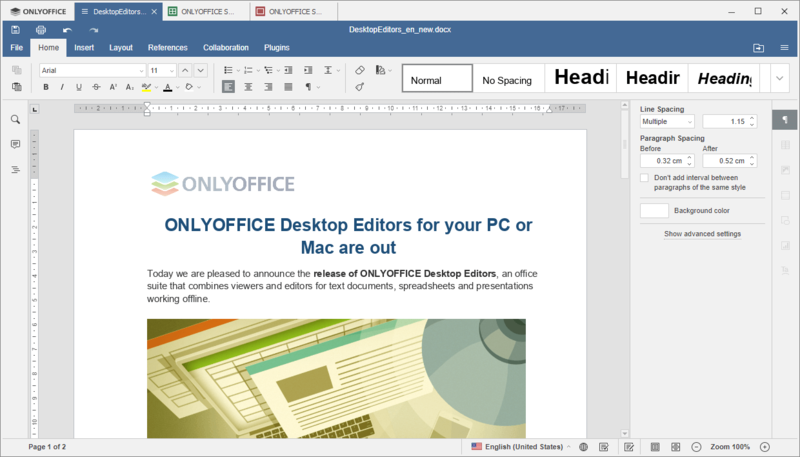 ONLYOFFICE Desktop Editors is an open source suite distributed under GNU AGPL v.3 that offers offline document editors for text documents, spreadsheets, and presentations. Last week ONLYOFFICE developers have updated its desktop applications to version 5.1. New interface with tools reorganized into the following tabs: File, Home, Insert, Layout, References, Collaboration, and Plugins. Quick access to collaborative features such as Sharing, Review, Comments, Version History, Chat, etc. Table of Contents with Navigation panel for an easy navigation through headlines. 11 new formulas, new date formats and regional presets to format cells in the spreadsheet. Special paste for working with presentations, and presentation-level comments. Use the snap package available on the Snapcraft store. Or run it with the recently released AppImage. 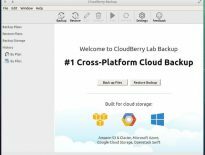 Now you can start the application and edit documents stored on your Linux machine or connect it to the web-based ONLYOFFICE platform.